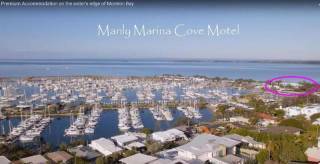 Our serviced apartments is only 200 metres to the Wynnum Esplanade. It is a short walk to the bay, parks, wading pool, children's playground, cafes, restaurants, pubs, shops, yachting clubs, marinas and close to public transport. Unit 2 is a modern renovated unit. It has polished floorboards, 2 bedrooms, Master bedroom has a Queen size bed and second bedroom has a Queen and single bed, built-in wardrobes and an open plan living, dining area and kitchen area. The kitchen has european appliances and the bathroom is fitted with shower and quality fittings. The kitchen is equipped with dishwasher, oven, glass cooktop & quality stainless steel cookware, crockery & cutlery. Unit 2 has reverse cycle airconditioners in the lounge room and both bedrooms. Weekly Service Clean including linen change is included in the tariff. This unit shares a downstairs laundry which is equipped with a commercial grade washing machine, free washing powder and dryer. Wynnum Bayside Apartments consists of 5 units to suit all budgets. 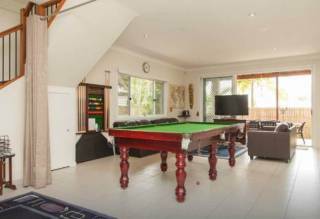 Wynnum Bayside Apartments is close to the Gateway, Port of Brisbane, Brisbane Airport, public transport and is a 40 minute drive or a 25 min train trip to the Brisbane City.